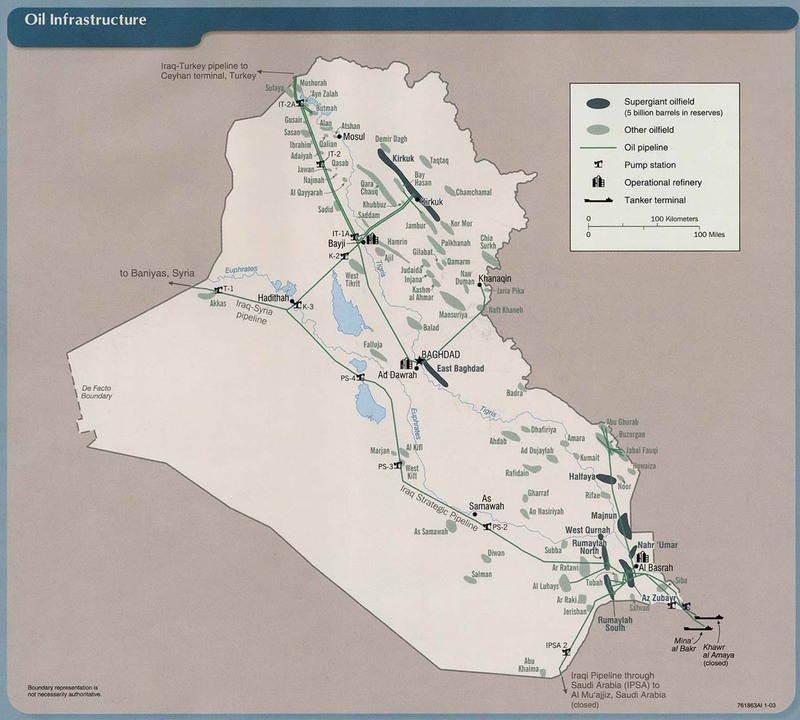 Iraq is hoping to lure international investors to help develop its oil and gas industry. With victory declared over fighters from Islamic State of Iraq and the Levant (ISIL, also known as ISIS), government ministers are meeting oil executives in Berlin, Germany to discuss how to exploit its vast reserves. Yesterday, I discussed how I think a policy of pushing back on Iran should be applied in Syria, where I believe the United States needs to go on the offensive against Iran. Today, I want to look next door, at Iraq. As in Syria, Iran has important vulnerabilities in Iraq, but it also has considerable strength there. ERBIL, Kurdistan Region — Iraqi Oil Minister Jabbar al-Luaibi announced that Iraq wants to increase its oil production to 7 million barrels per day. The minister ... The federal government plans to reach 7 million bpd by 2022,” Jabbar al-Luaibi, the Iraqi oil minister, told journalists in Kuwait on Wednesday. Civilian casualties from violent attacks in Iraq fell by 45% in December compared to the previous month, according to the United Nations. The figures released by UNAMI show that a total of 69 civilians were killed and 142 injured across Iraq, although casualties in Anbar could not be verified.